On Saturday, regional authorities in Arkhangelsk in northern Russia decided to introduce state of emergency for the settlement on the southern island on Novaya Zemlya. Military people have since December been patrolling and guarding the streets to ensure safety, but without desired effect. The polar bears no longer react to noise- and light signals from the guards patrolling with cars and dogs, the statement issued on Saturday by Arkhangelsk officials reads. Belushaya Guba is the main settlement on the Arctic archipelago, largely home to military personnel and their families. The military air base Rogachevo is a few kilometers outside of town . So far, Russia’s Federal Service for Supervision of Natural Resources has refused to permit shooting the most aggressive polar bears that have attacked people. 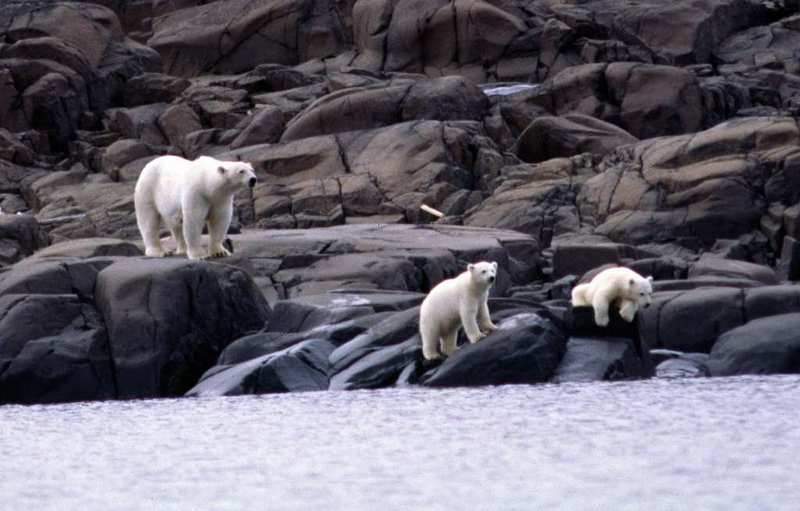 Polar bears are on the Red List and have been protected in the Russian Arctic since 1956. The Arctic is in transition, heading towards a warmer future with less ice, with maybe far-reaching implications for the king of the Arctic – the polar bear. In recent years, polar bears have more frequently approached coastal towns in northern Russia, both on the mainland and on the archipelagoes. 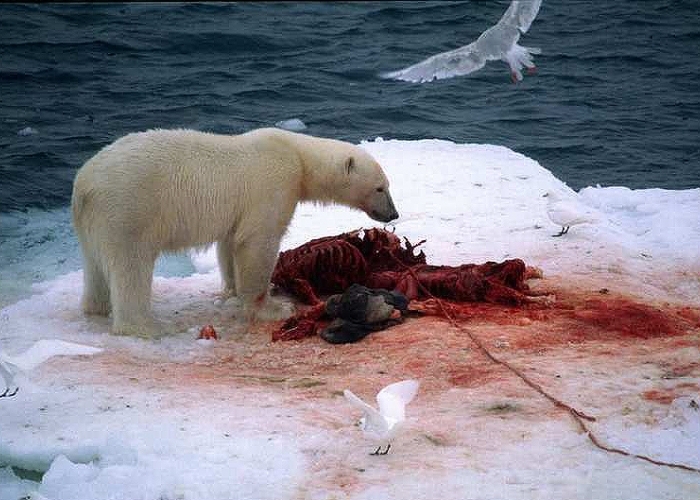 Due to shrinking sea ice the bears are often stranded on shore. Either because the sea ice retreat from shore much earlier in summer than before, or like on Novaya Zemlya, the sea simply does not freeze any more during winter. Zhigansha Musin is head of the municipal administration on Novaya Zemlya. He has been in town since 1983 and says he has never before seen such massive invasion of polar bears. “The animals are literally chasing people and are even entering the entrances of residential buildings,” Musin tells. A warning posted on the portal of the municipality informs the inhabitants on how to behave to avoid polar bears from attacking. The state of emergency is introduced without time limit; it will last until the security of the local population is ensured.